K500 Kickboxing + sessions are ideal for everybody! Kickboxing combines the punches of boxing with the kicks of various martial arts styles. At our classes the emphasis is based on kicking and punching drills. Most of the training in our class is practiced on focus pads, kick shields and kick bags. Kickboxing also offers a great aerobic workout. Kickboxing techniques are also ideal for developing self defence skills. There is NEVER any pressure to spar, hit another or get hit yourself. We encourage you to try out the skills you’re learning and developing but NEVER any pressure, from any coach or instructor should be placed upon you. We teach Kickboxing right, so what is the ‘+’ for? It’s because we also teach elements of Judo, Ju-Jitsu, Aikido, Muay Thai and Kung Fu to name a few. We opt to teach kickboxing as a foundation to build on due to its fluidity, ease of movement and one’s ability to adapt technique. I guess you could say that adopting techniques from various methods of combat we verge on MMA. However, MMA these days has very much become a ‘style’ within itself. I try not to use the term MMA or Mixed Martial Arts because we don’t teach it as a style. We provide an insight into the tools and movements used in many Martial Arts, allowing the fighter/student to put it together in a format that works for them and their structure. Anybody that has ever wanted to have a try at Martial Arts. Anybody with fitness goals or weight loss as both can be achieved with Kickboxing. Similar to intermediates but to the higher end of a syllabus. 3rd Kyu (Purple Belt) or above. These people would benefit from the experience of a Martial Arts Movement Specialists & WAKO GB’s Coaching Officer. Not to mention being put through your paces and pushed to your limits of fitness and skill by our qualified coaches. Our specialised Dragon’s programme is an age-specific martial arts curriculum that is professionally designed to teach children important life skills and lessons that you want your child to know in a fun and exciting manner. It’s structured so that the child has a clear developmental process from Age 4 onwards. Both Dragon Programmes will improve your child’s basic motor skills as well as your child’s positive mental skills. These skills will help your child to enter society with a confident and enthusiastic outlook. Your child will become a better student in school, a better listener at home and feel more ambitious towards their future goals. 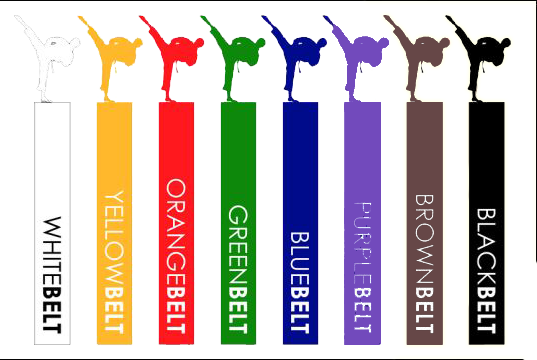 Let us help enhance your child’s mental and physical development with our dedicated martial arts training, in a fun, positive and motivating way. for all the hard work, discipline and commitment that you have shown.